Montgomery, Alabama, a place for leisure and sightseeing, is also a modern metropolis whose history and wonders turn this charming city into something grand for the whole family. Courageous, sassy and rebellious, Alabama was the twenty-second state to enter the Union. 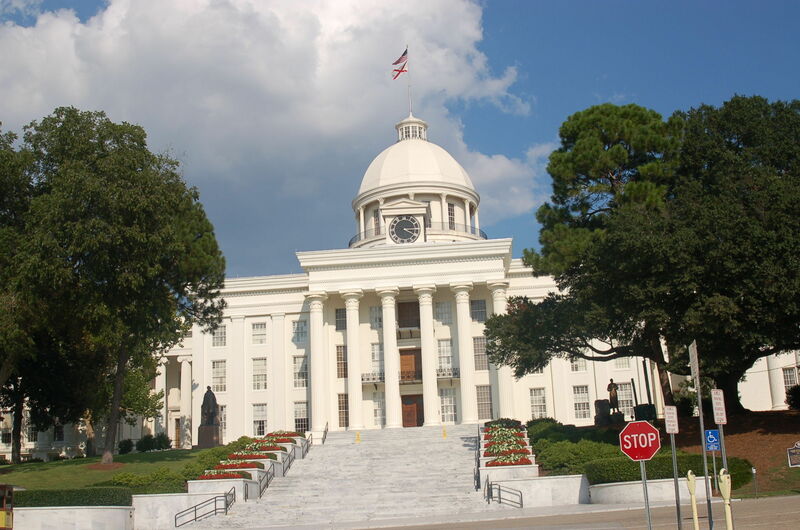 Montgomery was the first capital of the Confederate States of America, finally becoming the Alabama state capital in 1846. It was thrust into the spotlight again when it paved the way for the Civil Rights Movement in the tumultuous 1950’s and 60’s. Unpack your bags at the family-friendly downtown Renaissance Montgomery Hotel & Spa (334/481-5000), a large contemporary, full service hotel next to the Convention Center at 201 Tallapoosa Street, Montgomery, Alabama 36104. There's an outdoor pool and hot tub open seasonally, and it's within steps of the areas that define the city’s Southern heritage. Stop at the restored Alabama State Capitol, the Winter Building, where Jefferson Davis issued the telegraph giving orders to fire on Fort Sumter soon to be converted to a hotel, the National Civil Rights Memorial that was designed by artist Maya Lin, and the landmark Dexter Avenue King Memorial Baptist Church where young pastor Dr. Martin Luther King, Jr. preached his message of hope and brotherhood. Make time to tour Old Alabama Town, the South’s premier History Village that depicts life in Alabama with more than 50 restored houses and shops. Stop at the Hank Williams Museum that pays homage to a legend and one of the best country artists of all times. Drive through the Wynton M. Blount Cultural Park where the Shakespeare Festival, as well as year round classic plays and performances are presented. A must see on the park grounds is the Montgomery Museum of Fine Arts whose permanent collections include American art and sculpture, prints from European Masters and collections of porcelain and glass works. A memorable experience for the whole family is the fascinating complimentary, guided one-hour tram tour of Hyundai Motor Manufacturing Alabama. The 2-million square foot, state-of-the-art manufacturing plant resides on 1,744 acres and includes a stamping facility, paint shop, vehicle assembly shop, a two-mile test track and an engine shop where all the Hyundai 3.3 liter V6 engines are produced. Montgomery Biscuits Baseball in the historically restored Riverwalk Stadium is where sports fans can catch a game of the AA Southern League team of the Tampa Bay Rays. The Montgomery Area Visitor Center (800/240-9452) in historic Union Station is where you can purchase local attraction tickets and shop for a wide range of unique Alabama products. This is also the place to board the Lightening Route Trolley for a tour of downtown — or hop out along the way for a closer look at any stop. A great blog. Lots of excellent info. I hope to visit Montgomery soon. All the best.